Felt is also very versatile as it does not fray, it’s easy to cut, DMC embroidery floss goes through it like butter and you can use it in single or multiple layers. It’s very affordable, light weight and makes great soft toys for children. So why not give it a try this season? 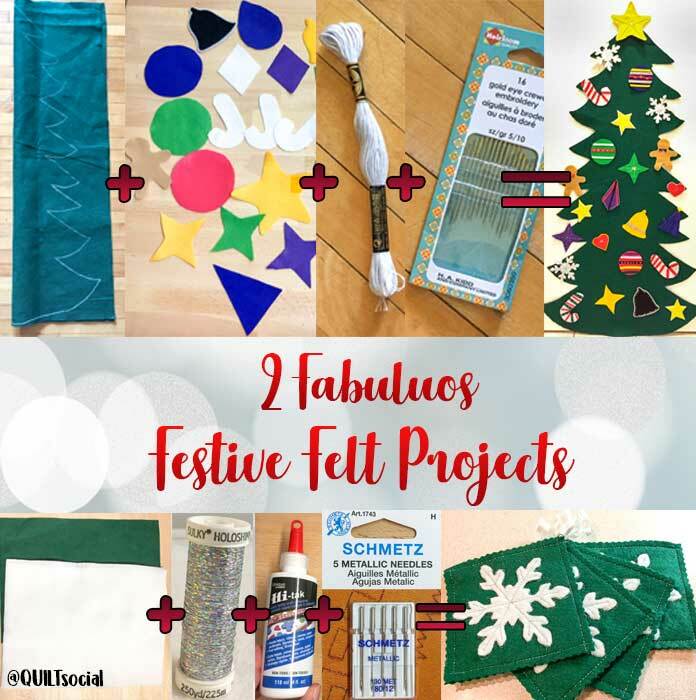 Today I’ll talk about 2 fabulous festive felt projects. Say that quickly! Four snowflake coasters made using DMC Embroidery Floss, Kunin Rainbow ClassicFelt, PrestoFelt, Hi-tak Glue, Heirloom Quality Crewel Embroidery Needles, Sulky Holoshimmer. 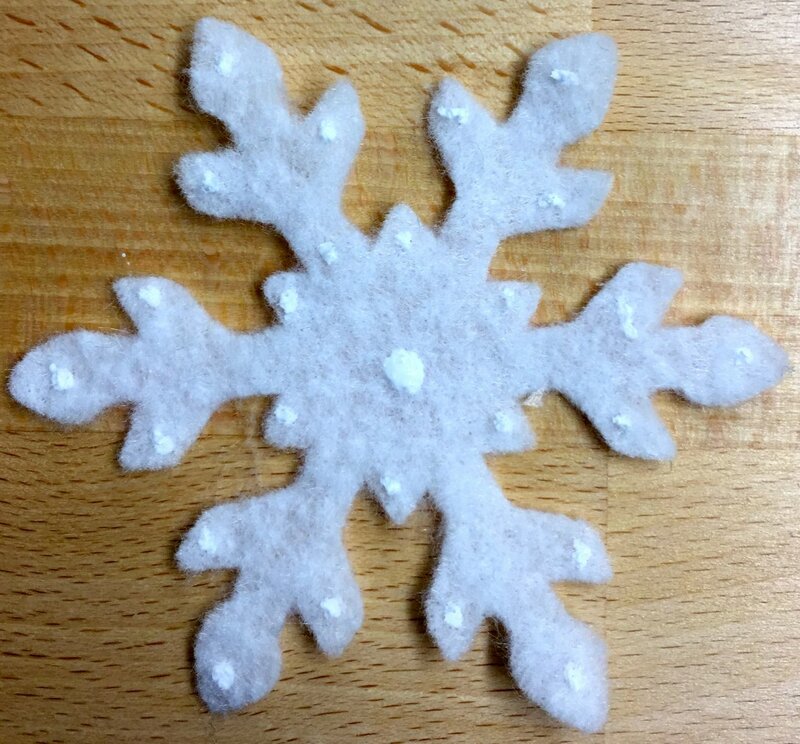 The first fabulous festive felt project is snowflake coasters made easy by using Rainbow Classic Felt,Hi-tak Glue, Sulky Holoshimmer Silver and Schmetz Metallic Machine Needles. 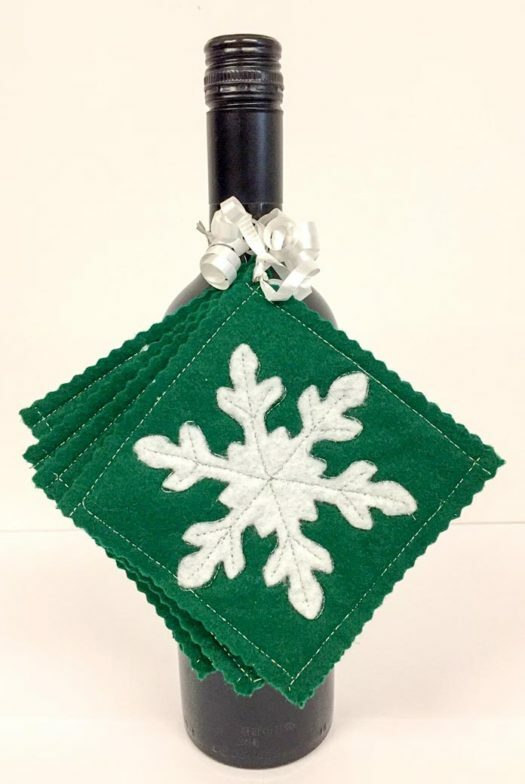 These little coasters could also be ornaments, gift package decor and are also a great addition to a bottle of wine for those holiday parties or take away gifts. 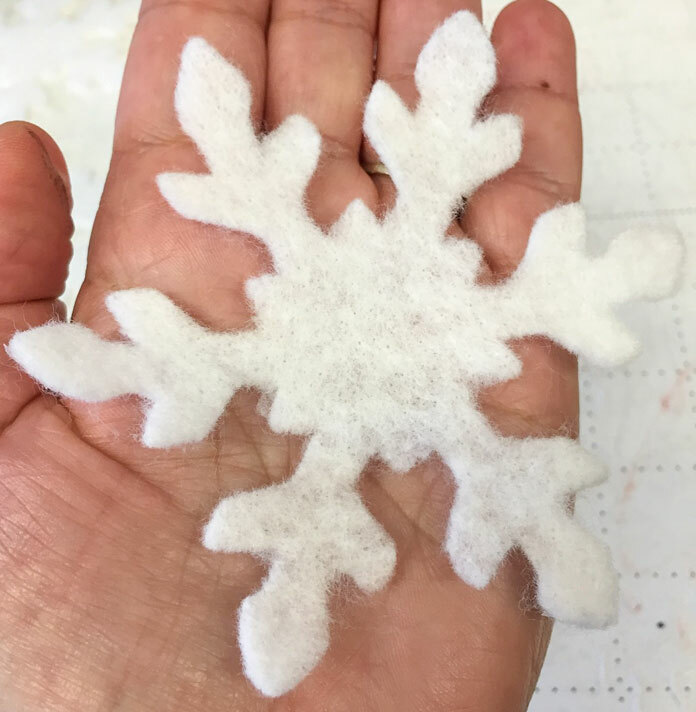 Cut out 4 snowflakes from white felt from design source of your choice. Cut out 8 Rainbow Classic Felt squares 4½″ x 4½″. 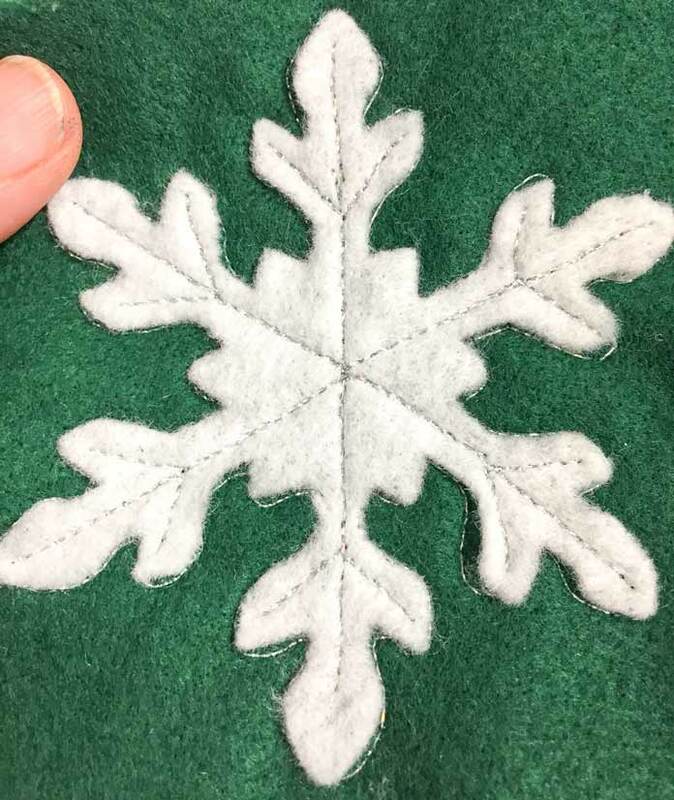 Using the Hi-tak Glue, glue the snowflake to the center of 4 of your felt squares and let dry for one hour. Insert your Schmetz Metallic Needles into your sewing machine and thread your machine with Sulky Holoshimmer Thread. Sandwich 2 squares of felt together with a plain felt square and a snowflake square facing up and pin to hold together. 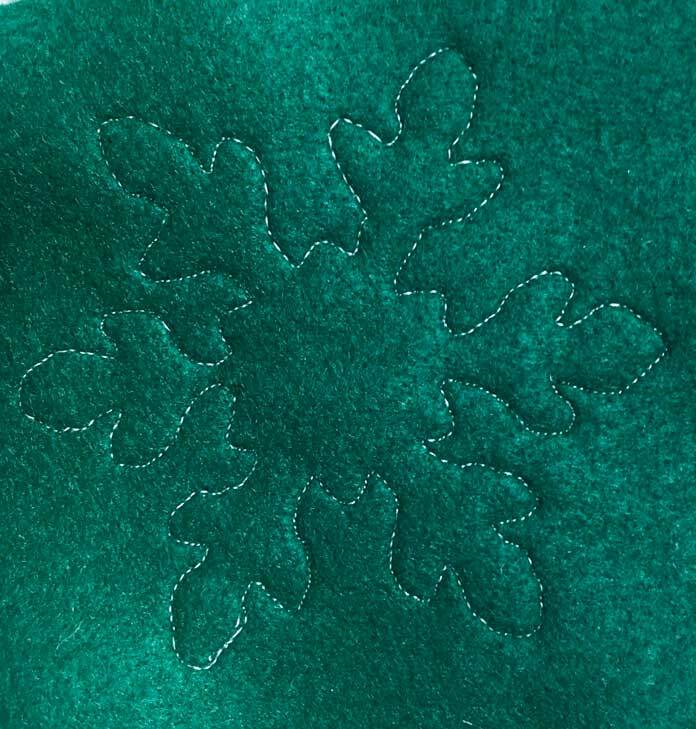 Top stitch and quilt the snowflake through the two layers with an applique, open toe or free motion foot. 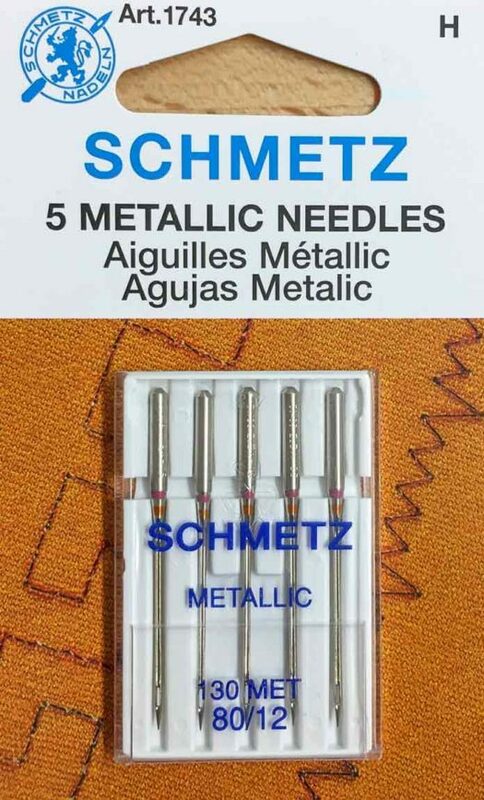 Schmetz Metallic needles help your thread glide through your needle and prevent breakage. Square your coasters to 4¼″ x 4¼″ with a ripple blade rotary cutter or straight blade. Using a ¼″ foot, top stitch through 2 layers around square ¼″ in from the perimeter. If you have some toddlers/grandbabies visiting over the holidays, this project may just keep them out of the real Christmas tree. Give them one of their own! This project uses PrestoFelt, Rainbow ClassicFelt, Hi-tak Glue, DMC Embroidery Floss and Heirloom Quality Gold Eye Crewel Embroidery Needles. This little tree and ornaments is a quick hand embroidered DIY project that when packaged up, could also make a very thoughtful gift for those little ones on your Holiday list. 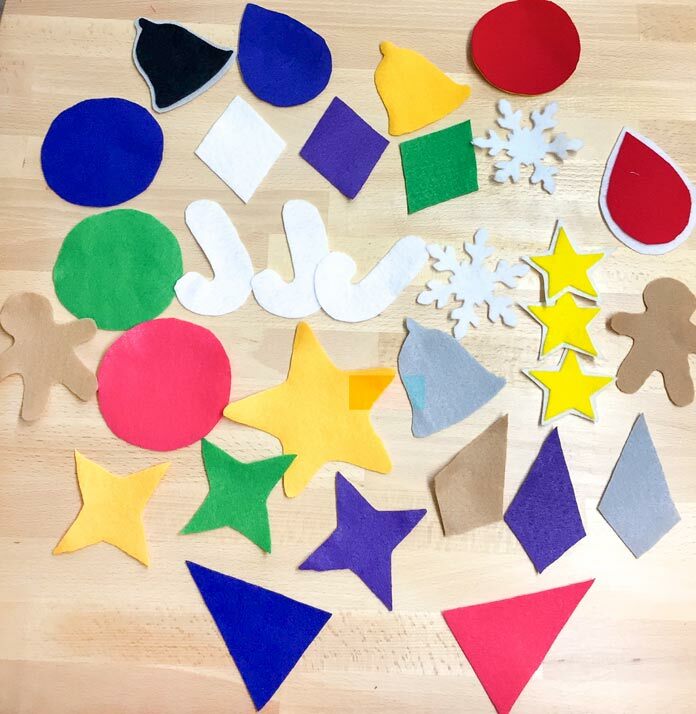 Cut out felt designs from design source of your choice for ornaments for the Christmas tree. 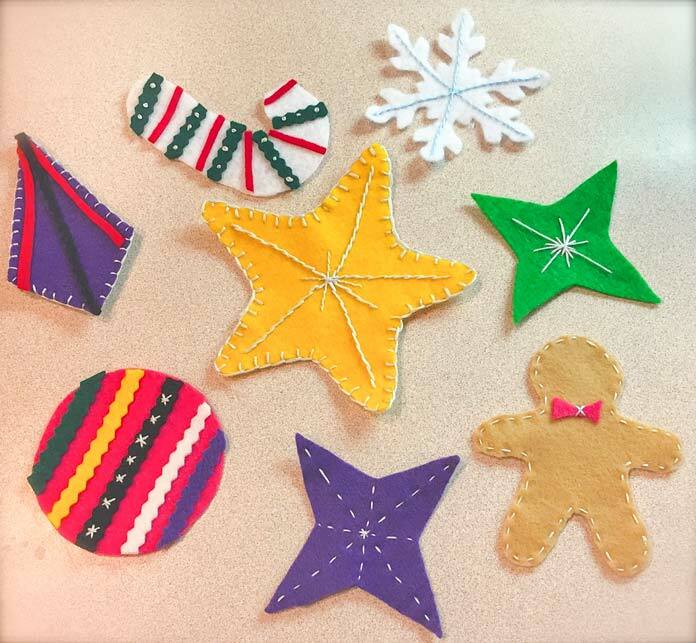 Layer and embellish the ornaments using ClassicFeltwith Hi-tak Glue and PrestoFelt. The PrestoFelt already has a sticky backing so it is easy to layer with it. Remove the paper backing and presto it’s easy! Use DMC Embroidery flossandGold Eye Crewl Embroidery Needles to make basic embroidery stitches such as a running stitch, french knots, stem stitch and blanket stitch. The crewel embroidery needles are strong and go through the Presto Felt and Hi-tak Glue with ease. The DMC Embroidery Floss adds nice dimension to the ornaments. Refer to photo. Once you complete this felt Christmas tree project, you may also please some parents with hours of ‘felty’ fun for their little ones. Be sure to share with us your completed felt projects and your comments below. 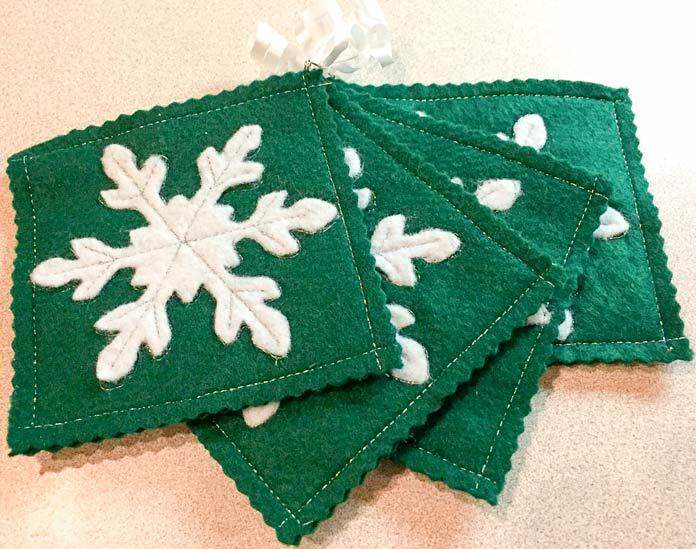 Join me tomorrow when I discuss a machine quilted project and gift idea for all ages that will build the excitement that the holidays can bring! I love the felt Christmas tree!